There's no doubt about the color blue's relaxing and soothing effect. In fact, it has been a go-to color for many homeowners that it's no longer surprising to see a bedroom with hints of blue and even a kitchen with blue-painted cabinets. 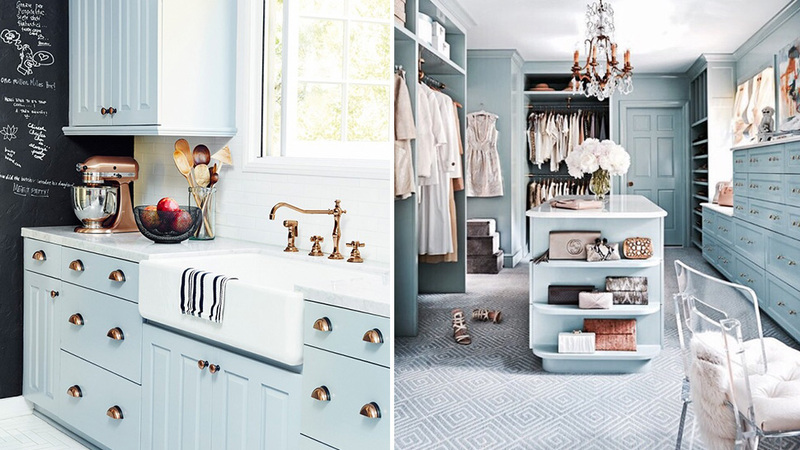 To make your space a cut above the rest, you may want to take a chance on a lighter shade like powder blue. A bit cooler, it blends well with pastel shades and white—allowing you to play around and experiment when it comes to decorating.